All flat entries in line of sight from the main Lift Lobby. Air Conditioned Gymnasium Cross Ventilation in every room. One large Terrace in every flat for outdoor private space. 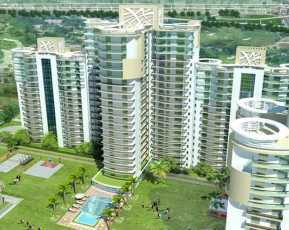 Akriti Shantiniketan is upcoming Residential Project in Noida Up. 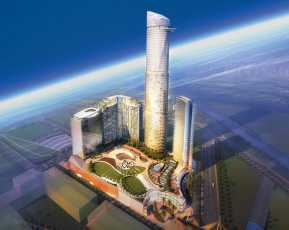 Investors from across the country come to Noida for investing in its properties and projects. 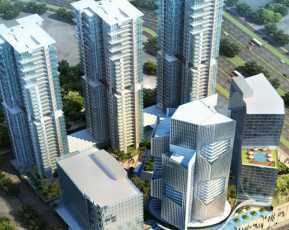 Due to the immense of opportunities and amenities offered in Noida, there are plenty of projects on residential township and commercial complexes that have bloomed in the city. The latest to join this brigade of potential investment is Akriti Shantiniketan located at sector 143, Noida. The property is developed by renowned builders who are known for their exemplary work of finesse and providing a state-of-art architecture to the buyers. The project is located at a strategic point, from where connectivity to the nearby regions and cities are made feasible. 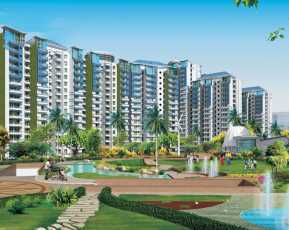 This Property in Noida offers apartment type houses that are facilitated with all the necessary amenities and latest technology. Akriti Shantiniketan project have ensured the entire designing and conceptualization of the project is done keeping the needs of today’s generation in mind. The entire apartments are designed in an ultra-modern way rendering a contemporary outlook to the project. Akriti Shantiniketan project in its very look grabs the attention of the public with its attractive furnishings and interiors. The apartments in Akriti Shantiniketan are fitted with perfect fittings and furnishings, 24-hour running water and gas pipe connection that takes away the risk posed by cylinder gases. The apartments are also provisioned with rainwater harvesting and sewage treatment plant. The entire apartments in Akriti Shantiniketan are spacious, with latest floorings made of vitrified/ PGVT tiles, modular kitchens and vast balconies facing the scenic view of nature around. In addition to the facilities offered internally, there are a lot more of surprises kept in store for buyers. These include Nursery school and creche inside the complex making the work of parents easier. The Apartments in Akriti Shantiniketan is made in tandem to Vastu compliance. 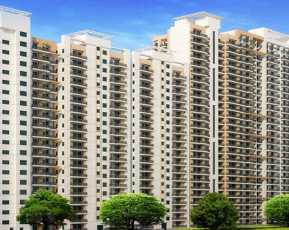 Akriti Shantiniketan developers have also provided with firefighting equipment, day care centre, water plant, along with 24-hour provision for security guidance, maintenance staff and property staff available for aiding in matters related to buying of property. This Property in noida expressway have a lot of activities offered for the recreational purpose which includes a clubhouse, meditation center, yoga center, a completely equipped gymnasium, sports court housing golf course, basketball court, kids play centre and much more. This is not it, there are cafeterias, food court, Daycarecenters, convenience stores and religious building for conducting festivals and prayers. The outside of the Akriti Shantiniketan is well equipped with all the necessary amenities starting with Banks, ATMs, restaurants, shopping centers, etc. that eases the life of buyers who needn’t wonder pillar to post in search of shops and ATMs. Akriti Shantiniketan houses all the necessary provisions and is a complete package for people who love to live their life king size. Akriti Shantiniketan is a property which is constructed using latest technology making it earthquake resistant. There are multipurpose theatres, Wi-Fi connectivity, video surveillance, power backed up elevators and staff who are readily available for assistance. The prices of Akriti Shantiniketan are listed that fits well the budget of people. Akriti Shantiniketan comes with alluring payment options and easy loan methods that makes this property a one-stop destination for all house hunters who wish to taste luxury and comfort in living.